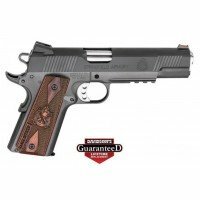 HandgunSpringfield ArmorySpringfield Armory 1911A1 Loaded Stainless SteelStainless SteelPistol:Semi-AutoSingle Action.45ACP57+1 2 MagsIntergral Locking Sys,ExtendedCocoboloNovak Patented Low Mount38 oz. 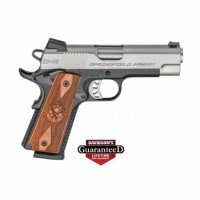 This is a new Springfield Armory 1911A1 Loaded Stainless Steel .45ACP 7+1 2 Mags. Starting New in our office for every $10 you spend with our office this will equal one entry to win the FPA of the month, FPA of the month is a Rifle, Handgun, Shotgun of that month. Simple if bid on this gun and won it for $785.00 that would be 78 entries into the drawing to win the FPA of the month. 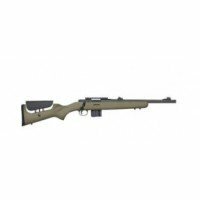 This month's (November 2018) To Represent All The Great Deer / Elk Hunting Across All Our Great States The FPA This Month is a Mossberg Patriot Night Train 2 Rifle With 6-24-X50MM Variable Scope, Fluted Barrel, Bipod 4+1 308 or 300 (Your Choice) Rifle Valued at $800.00 for details or info on this firearm just search FPA on Egunner.com very easy to find! !